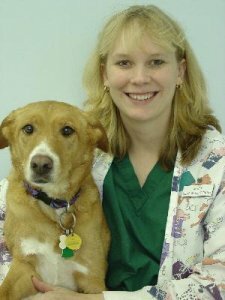 Leigh Ann has been in the veterinary field for 16 years, the last 13 of which have been with North Memorial. She started here as a receptionist/technician and is now the Practice Manager. 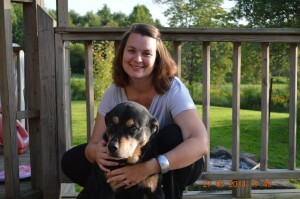 Leigh Ann lives with her husband, two daughters, her dogs “Jackson” and “Roscoe”, and a cat “Bad Kitty”. 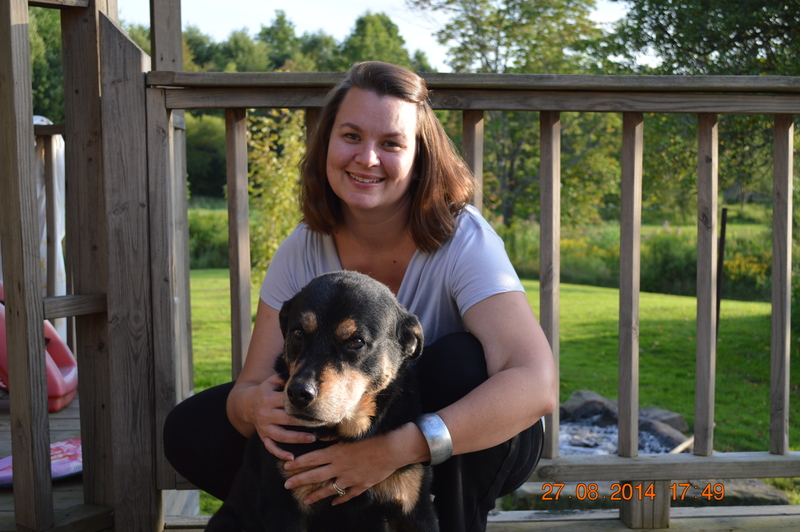 In her spare time Leigh Ann enjoys spending time with family, boating, camping, cooking, reading and raising chickens. 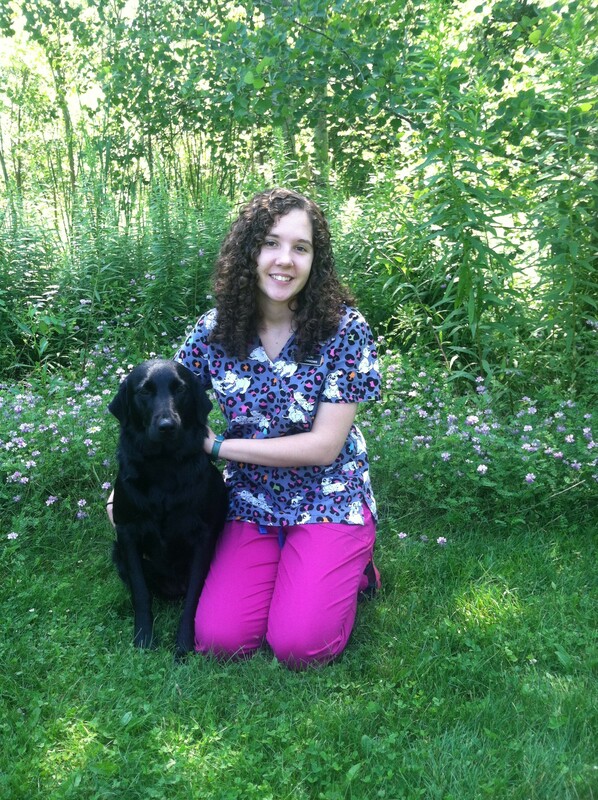 Mary has worked at North Memorial Animal hospital since the day we opened !! 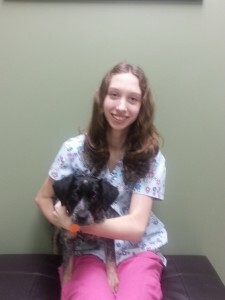 She enjoys helping people and educating them on good care for their pets and she loves animals! Her favorite part of the job is taking time to talk with people. When pets come in for a visit her goal is to answer every question she can or find the answer if she cannot. She hopes everyone leaves our building feeling like they received the best care for their pet. Mary lives with her husband and they are blessed with 3 kiddos, they also seem to always have an interesting variety of pets. 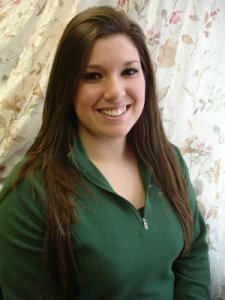 In her spare time she enjoys spending time with her family, tractor pulls, and relief milking at a local dairy farm. 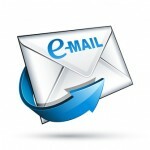 Mary lives by the philosophy: Treat others as you would want to be treated and Jeremiah 29:11. 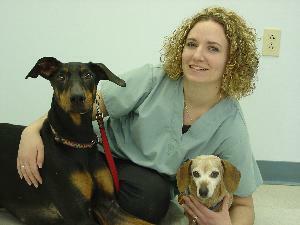 Amanda has been at North Memorial Animal Hospital since May of 2003. After spending 4 1/2 years as a technician Amanda took over responsibility as the Assistant Manager. She has one dog “Veda”, a Doberman. 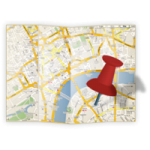 In her spare time Amanda enjoys reading and traveling the world. Megan joined North Memorial Animal Hospital in February of 2009. She lives with her husband, daughter, son and two dogs “Frank” and “Beans”. Megan enjoys watching the Steelers, walking her dogs and shopping. 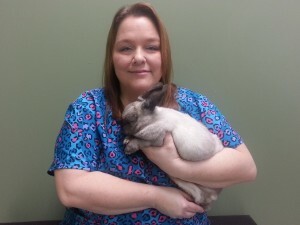 Dawn is a graduate of the Vet Tech Institute and has been at North Memorial since January of 2013. She has 3 cats ” Kreacher” “Marie” & “Reba”, 2 dogs “Sidewinder” & “Lacey, 1 bird and 2 guinea pigs. Dawn enjoys reading, spending time with her friends & family and baking. Mary has been at North Memorial since December of 2013. She lives with her husband, Brian, and their daughter Angelesa. They have 2 dogs “Harley” & “Lillie” and 2 rabbits “Emma” & “Emmett”. Her hobbies outside of work include crafting, camping and spending time with her family. Lindsay joined our team in October of 2014. She has a Blue Heeler mix named “Missy” and a cockatiel named “Tiki”. In her spare time she enjoys listening to music, playing guitar, drawing and painting. Tori joined our team in the spring of 2015. She graduated from the Vet Tech Institute in Pittsburgh. Tori has 2 horses, 4 cats, and 5 dogs: “Bella”, “Stella”, “Sam”, “Janie” & “Tipper” . 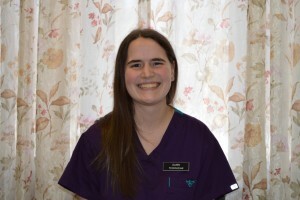 In her spare time she enjoys horseback riding, reading, scrapbooking, following the Pittsburgh Penguins and spending time with her husband and two daughters. Rebecca joined our team in April of 2016. She attended Delaware Valley College where she obtained a bachelors’ degree in biology with a specialization in zoology. 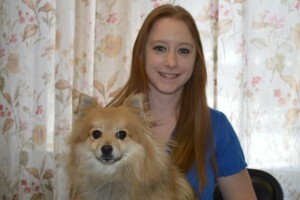 She has always had a passion for caring for animals and can’t imagine doing anything else. 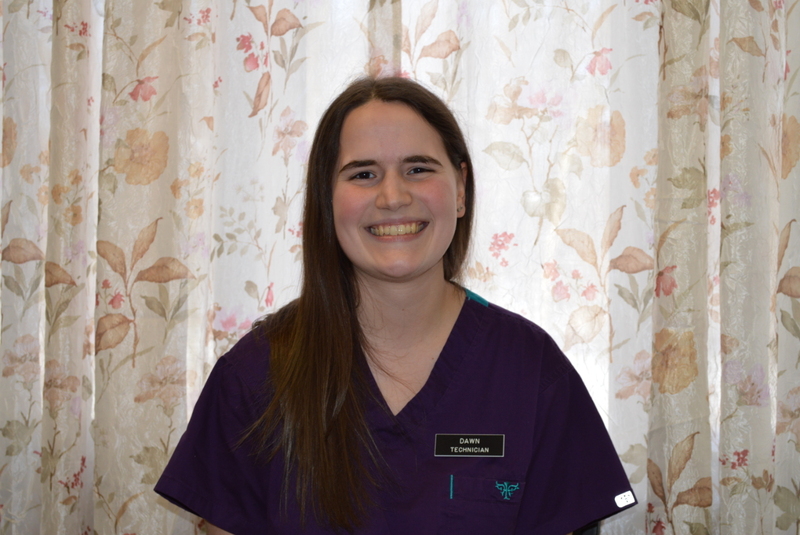 Her favorite part of the job is being able to see the difference we make in our patient’s lives. With each visit, her goal is to not only give the best care possible but to make the visit as stress-free and happy as she can. Rebecca has two dogs “Tella” and “Titus”, a cat “Monkey” and anole named “Mumfy”. In her spare time, she enjoys spending time with family, photography, yoga, reading and watching movies. Stephanie started at NMAH in August of 2016. She graduated from Kent State University with a Bachelors degree in Zoology and a degree in Theater and Performance. Stephanie lives with her fiance Daniel and their Norwegian Forest cat ,”Loki”. Along with her passion for animals of all sizes she enjoys dancing, singing, watching movies, playing games and is a huge Chicago Blackhawks fan!